Hearing a lot about the keto diet these days? Probably. I know that it’s hard to keep track of all these eating plans, so I have you covered. Read on for a concise explanation of the difference between paleo vs keto, what you can and cannot eat, which health benefits to expect from each diet, and how to decide whether keto or paleo is the better diet for you. With the turning of the new year, you’re probably hearing a lot about the paleo diet, the keto diet, and lots of other popular diets that someone or another promises will help you lose weight, balance your hormones, and work a nearly infinite number of other miracles. I’m not here to endorse those promises, because every body is different, and needs different amounts of nutrients and foods. Instead, I’d like to introduce you to the paleo diet and the ketogenic diet (aka “keto”) and help you consider the characteristics and benefits of the paleo vs. keto diet plans, and how they might help you reach your best health. What is the Paleolithic (Paleo) diet? What can’t you eat on the Paleo diet? What are the drawbacks of the Paleo Diet? What can’t you eat on the Keto diet? What are the drawbacks of the Keto Diet? 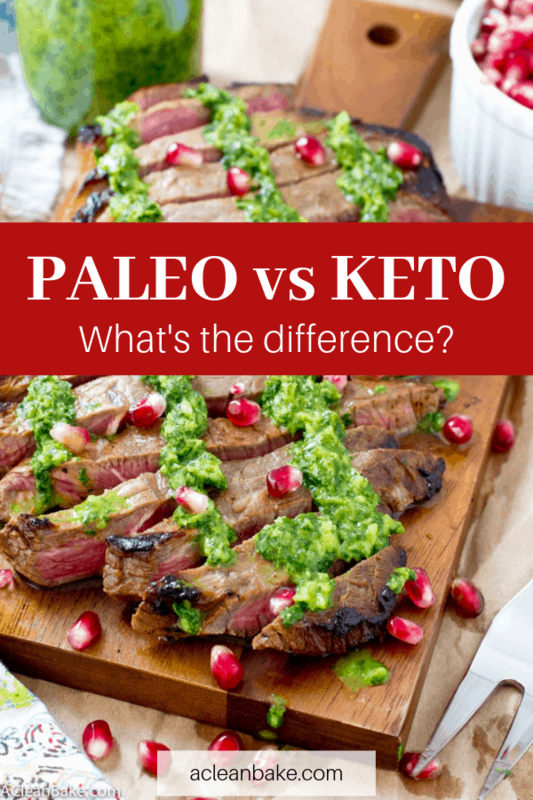 What is the difference between Paleo vs Keto? And which is right for you? Let’s start with the (perhaps more familiar) Paleo Diet. The paleolithic diet, commonly known as the paleo diet, is a lifestyle that limits the menu to whole foods that were (supposedly) available to humans during the paleolithic era, before agriculture was established. For this reason, the Paleo diet is sometimes called the Caveman Diet or the Hunter-Gatherer Diet. The purported benefit of this diet is that it protects your body from “inflammatory” modern foods, using the logic that the ingredients that humans were able to hunt and gather are those which our body runs best on. This concept is called the Evolutionary Discordance Hypothesis, which suggests that the departure from the hunter-gatherer lifestyle is what contributes to much of the chronic disease we experience in modern life. Meat, poultry and game (plus organ meats): any kind, although grass-fed and grass-finished, aka pasteured, is ideal. The less processed the better; stay away from chicken nuggets (unless they’re homemade), for example. Seafood: ideally, or as much as possible, wild caught. And of course, no frozen fish sticks, and the like. Eggs: Eggs are an important source of protein and nutrients on the paleo diet, and the anchor of many paleo-friendly breakfasts! Produce: Fresh, frozen, or cooked fruits and vegetables are all allowed on the paleo diet. Ideally, all or most are organic, and fruit is consumed in moderation (so as to not overload on sugar). Nuts & seeds: Any and all kinds are welcome on the paleo diet, as long as they are not roasted (or otherwise doctored) with non-compliant oils or flavorings. They can be whole or ground into butters. Ideally, they’re organic, but it’s not mandatory. Healthy fats and oils: monosaturated and saturated fats like olive oil, coconut oil, and avocado oil, and the fruits they’re derived from. Again, ideally organic. 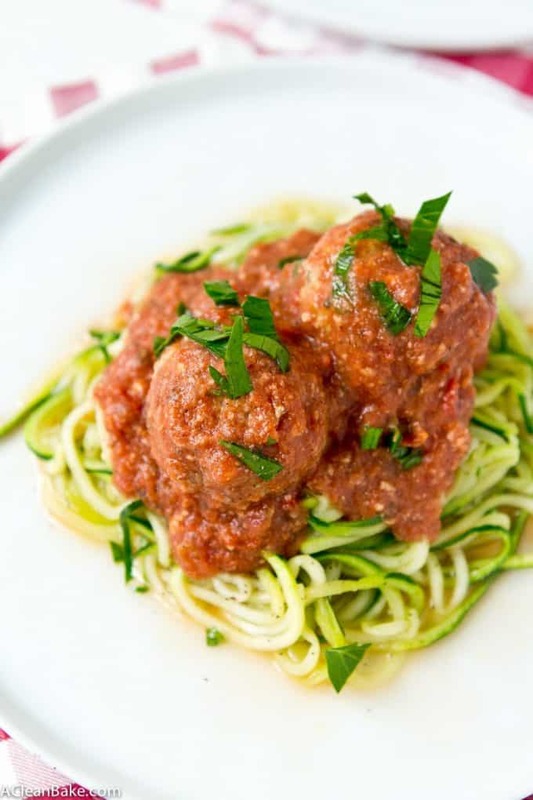 Psst: For TONS of Paleo recipes, click here! Grains and pseudo-grains, including wheat, corn, quinoa, farro. 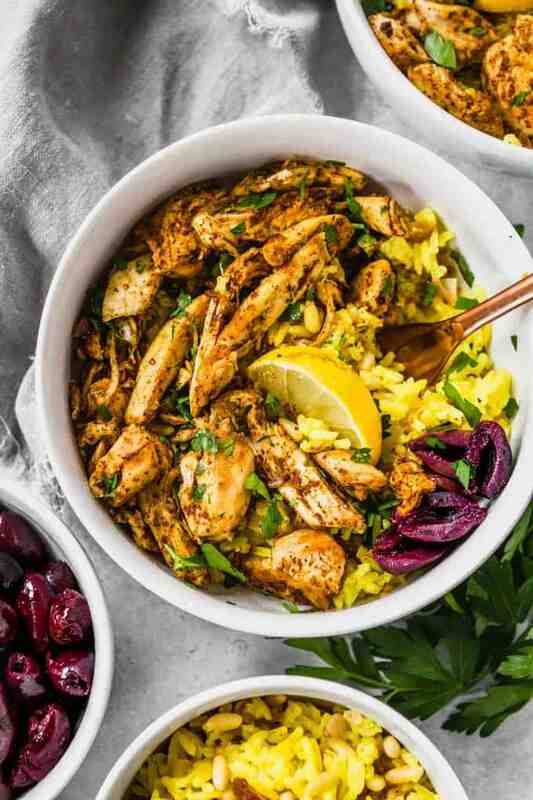 While no grain is strictly paleo, many people incorporate white rice for necessary carbohydrates, since white rice is thought to be the least-inflammatory, easiest-to-digest grain. Dairy, including cheese, butter, and milk. Eggs are not dairy (since they are not derived from milk), so are permissible. It’s worth noting, however, more and more people are incorporating grass fed dairy into their paleo diets in moderation. But it is not allowed in the strict paleo diet. The only dairy product that is, technically, allowed is ghee, which is grass-fed butter that has been stripped of its lactose. Legumes, including soy (and all its derivatives), peanuts, chickpeas, black peans, and green peas. Some paleo followers make an exception for green peas. Refined sugars, like cane sugar and corn-derived sweeteners, including and especially that which is contained in packaged foods. 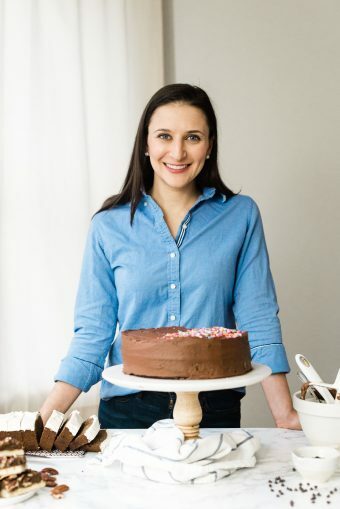 The paleo diet relies on natural sweeteners like honey, maple syrup, fruit and fruit sugars, plant derived sweeteners like stevia and monk fruit, and coconut sugar to sweeten compliant desserts. Certain oils that are high in inflammatory Omega-6s. Examples include canola oil, corn oil, margarine and other butter alternatives (like I Can’t Believe It’s Not Butter), sunflower oil, and peanut oil. The primary benefit of the paleo diet is that it is one of the more sustainable healthy eating programs out there. It doesn’t require you to restrict calories, track macros, or cut out any major (necessary) food groups. You can still get all of your necessary nourishment on the paleo diet. Other benefits vary from person to person. For me, personally, it helped immensely with gut healing, energy, and overall wellness. People credit the paleo diet with helping with weight loss, energy, quality sleep, fitness, and balancing blood sugar. The only universal benefit that the Paleo diet promises is that it will help you to eliminate processed and artificial ingredients from your diet (hardly an insignificant improvement!). Other benefits vary from person to person. It’s hard, at first! If your body is used to a diet that keeps your blood sugar sky-high, then continuing to load up on carbs to stave off those sugar crashes, it will take some time to adjust. There will also be a substantial time commitment, since the Paleo diet relies heavily on real, unprocessed food, rather than packaged, convenience foods. Finally, it is pricier than the Standard American Diet. When you switch from cheap, processed foods to real food that takes time and effort to grow, you will definitely notice a change in your grocery bill. But don’t worry, there are plenty of ways to stay within your budget while following a paleo (or keto) diet! Remember that it may be inconvenient in the short term, but it is a long term investment in your health! 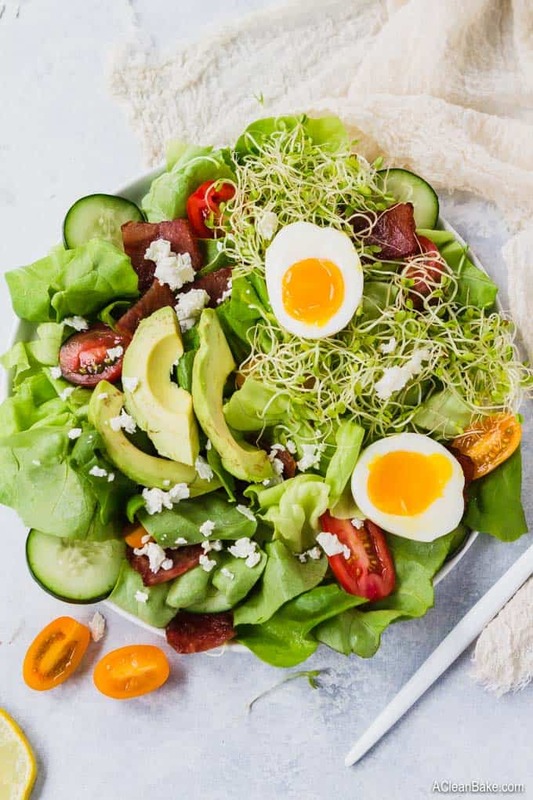 The ketogenic diet, also known as the keto diet, is a super high-fat, moderate-protein, low-carb eating plan that limits carbohydrates in order to force your body to burn stored fat for energy. The body normally uses glucose in the bloodstream (aka blood sugar) to fuel its function, from breathing to running. Glucose comes from dietary carbohydrates, and can also be converted from excess dietary protein. However, when the amount of glucose available in the blood is limited – for example, in the bloodstream of a person eating an ultra-low-carb diet – the body must find an alternative energy source. When the body is deprived of carbs and excess protein, it turns to fat for energy. The body cannot function directly off of fat, though. Dietary fat, as well as stored fat stores, are converted by the liver into ketones, which is an alternative source of energy for the body and brain. When the body is relying on ketones for energy, it has reached the metabolic state of ketosis. The ketogenic diet is designed to kick the body into a state of ketosis, in which it starts burning fat for energy, by severely limiting carbohydrates (and moderately limiting protein), in conjunction with periods of intermittent fasting. Being in a state of ketosis is said to maximize weight loss, balance blood sugar and hormones, and improve mental focus and performance. Well, anything!…. as long as it fits your macros (womp womp). The tricky thing about the keto diet isn’t remembering what you can eat, but tracking your macronutrients every day. So you’ll be eating a lot of fat. These foods will make up the majority of your diet, since they cover all of the fat and protein you’ll need. Additionally, you can round out your diet with low-carb produce like low carb vegetables (especially leafy greens, high water-content vegetables, and cruciferous vegetables) and berries; bone broth, coffee and tea (without sweetener), unsweetened chocolate, cocoa powder, and zero-glycemic-impact sweeteners like stevia, xylitol, and monk fruit. Psst: Here are some keto (or keto-adaptable) recipe that you’ll love! Well, keto is a low carbohydrate, high-fat diet, so you already know that you can count out any low fat foods, except in extreme moderation. Sugar and most other sweeteners, like honey, maple syrup, and agave. Anything with added sugars or starch, so you have to be careful with just about everything from salad dressings to cookies to soup. In sum, you can’t eat anything that will contribute more than 5% of your calories in carbs that day. For context, 5% of a 2,000 calorie diet is 100 calories. The most common benefit sought by people who follow the keto diet is weight loss. Of course, the diet works differently for every body (and not at all for some). Everyone will have a different reaction and may not experience the health benefits they seek, or none at all. Because the Keto diet is so restrictive, it forces you to cut out a number of healthy foods, like fruit and starchy vegetables. More of a concern are the side effects of keto, which are mostly experienced in the first days and weeks of the diet. The physical transition that your body is forced to make, from using glucose as energy to using ketones, is a tough one that can trigger unexpected side effects. The most common is the “keto flu” which, as the name implies, feels a lot like the actual flu – headache, fatigue, brain fog, and muscle aches – but only lasts the first couple of days, or the first week or so, after you transition to a new diet. Like the keto flu, most of these symptoms only occur when your body is adjusting to ketosis, and will go away in a matter of days or, at most, a couple of weeks. There are also ways to manage and minimize the symptoms including increasing your water intake, increasing electrolyte (sodium, potassium, and magnesium) intake, and eating regular meals full of healthy fats. Although there is a lot of overlap in what you can and can’t eat on the keto and paleo diets, they are not as similar as they may look on paper. The key differences between the two diets can be summed up like this: paleo is food-focused, while keto is macro-focused. The paleo diet focused on food provenance and choices – eating as much and whatever you want within the restrictions of the diet. Some people use the paleo diet to lose weight, but it is not necessarily a weight-loss diet. The keto diet allows you to eat whatever you want, as long as it fits in your macro[nutrient] allowances for the day. Not everyone loses weight on keto, but most people will lose fat – since your body is burning it for energy. Both diets have their fans and their nay-sayers. If you want to know which is better for your overall health, the answer is: it depends. It depends on you, your body, your past and present health, and your dedication to counting macros! I know, I know, that’s a politician answer (a non-answer answer). But here’s a more specific one: think about your goals, your health, and your medical history. Talk to your doctor. Consider how much time you have to spend thinking about food, and counting macros, every day. Then give one of these a try! Remember, nothing is set in stone and if the keto diet doesn’t work for you, try the paleo diet! If the paleo diet isn’t your thing, try keto! Either way, kudos to you for taking control of your health through better food choices!